Museum Design: Where's The Chairs? Unfortunately, if you're visiting a museum exhibition gallery, finding a place to sit and/or rest might be a lot more difficult. Art museums, perhaps because of their deliberately "contemplative" nature (or the advanced age of many of their patrons) do a much better job of providing seating in gallery spaces than other types of museums. As I'm preparing a talk for the upcoming Association of Children's Museums conference for "emerging" museums, my mind has turned to chairs and seating, or the lack thereof, in all sorts of museums. This is the sort of bogus, passive/aggressive, museum speak that really infuriates me. You can't "force" someone to engage with their children by taking away all the seats like a twisted game of musical chairs. An ideal museum visit will have a rhythm of activity --- sometimes quiet and contemplative, sometimes more mentally and/or physically active --- and museum designers should encourage, but not "force" people to engage in exhibit experiences in these different ways. Also, if you believe that eliminating seating options is going to coerce adult caregivers into stopping their young charges from racing around your museum or tearing up your exhibits, I've got a bridge in Brooklyn to sell you! Leaving all that aside, what are some of the parameters to consider when selecting seating for any type of exhibition gallery? 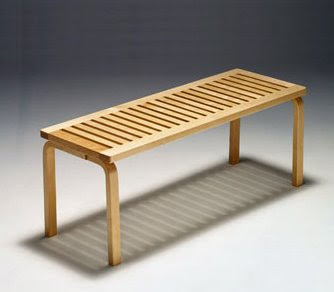 Personally, I think sturdy, movable seats, like stools or benches are your best bet. Flexible seating arrangements let visitors shift things around a little, and you might even learn a little bit about how visitors are using (or not using) your exhibits by watching how the seats get rearranged. 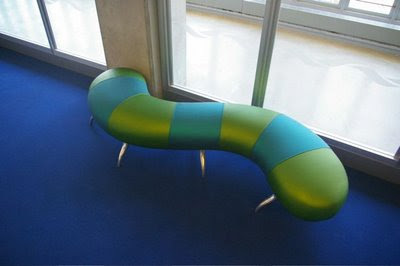 UPDATE: Jonathan Katz from CINNABAR was kind enough to pass along this image of a "worm-bench" from the "Early Explorer's Cove" early childhood exhibition space in the Kimball Natural History Museum section of the new California Academy of Sciences project. equally as important is the placement of seating in a "down time space" for families who need a bit of quiet. we find these spaces are well used at our museum. I agree about the importance of furniture that can be moved, even by museum visitors. We have one exhibition where visitors actually brought chairs in from the hall one day. They moved around a bit for a few weeks, and ultimately someone (staff, board member, who knows?) brought in a chair that "goes" with the exhibit that now takes up that place. Oh my gosh! Seating is sooooo important! First, it signals you care about your visitors. But even more than that, lack of seating frustrates, even infuriates many visitors. It is one of those things that comes up a lot in our surveys in how museums fall short in meeting needs. I'll be happy to "borrow" that line for my presentation. Great topic. 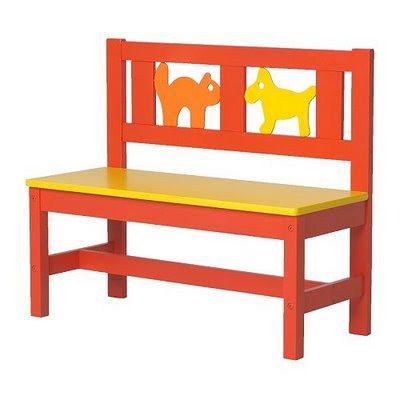 This probably isn't quite what you were looking for, but Jean Burks at Shelburne Museum did a twist on the subject last year with her show "Please be Seated" with an "interactive" show of contemporary garden furniture. While pictures of the show are no longer on the museum's website, I did find a picture on Flickr. http://www.flickr.com/photos/terenceluk/2888923684/ Jean worked with the Grounds department to place the objects in the museum landscape with most if not all being at the top of the hill as the visitors left. It was pretty wonderful to walk up there and see folks just hanging out, enjoying the landscape. While some of the seating furniture were loans from the various designers, others were gifts to the museum from the makers and have become part of the landscape.